We receive submissions all throughout the year from around the world regardless of origin, background, and theme. We believe strongly that our backgrounds should not be barriers or walls of division but the diversity that unites us. This compendium of literary works seeks to paint the emotions evoked by the different responses we give to the circumstances of life. To this end, we are receiving poems, short stories, flash fiction, and essays. The theme is open; authors are free to write on any theme, their originality shall be highly considered. Works that have been previously published, in print or online are not accepted (we consider self-publishing to blogs, message boards, or Facebook as a publication if it can be viewed publicly without login). Translated or adapted works are not accepted, the author must be the owner of the text(s) submitted. Works in English ONLY, please! Any other language will just cancel the submission. Add a bio of not more than 200 words to your submission in the body of the mail. 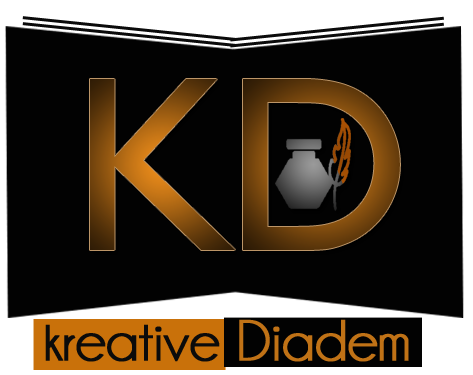 We receive electronic submissions, you can send your works in MS Word format to kreativediadem@gmail.com. We accept works of 20 verses and/or more. Poems are expected to be written; verses of less than 5 words are not allowed. Simultaneous submissions are encouraged; but no more than two poems. Any style (rhyming or not) shall make it! Only originality makes the difference. It should be at least 1,000 words and no more than 4,500 words. Flash fiction should be no more than 1,000 words. We do not have any rule as to style or genre, although we admire stories that are ‘clean’ at the sentence level and that are sensitive to the human mind. Submissions should be aimed at a general readership and should be non-technical. We have no set maximum length or minimum length. Simultaneous submissions are encouraged; but no more than two essays. Please include this information in the body of the mail of your submission and not your files. Name: it may be your real name or the pen one (if this one is popular). Email Address: kindly indicate the one you mostly check (in case you have at least two). Phone Number: add your country code. *In case any information changes, feel free to contact us at kreativediadem@gmail.com. Please keep in mind that submitting to Kreative Diadem implies an interest in our initiative and anyone who submits will be added to our mailing list to receive occasional updates on new issues, events, and calls for submissions. We never buy, sell, trade, or share your information with anyone.